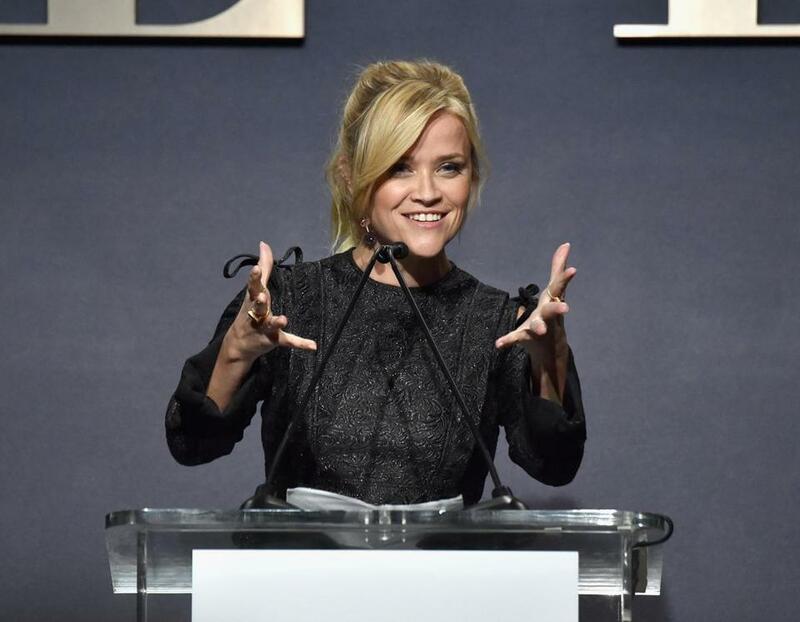 Reese Witherspoon spoke during ELLE&apos;s 24th Annual Women in Hollywood event. Actress Reese Witherspoon is the latest Hollywood star to go public with her experience with sexual harassment and assault in the wake of the Harvey Weinstein scandal. Speaking at a Women in Hollywood event Monday night, Witherspoon said that she had been sexually assaulted by a director when she was just 16. “I have my own experiences that have come back to me very vividly, and I found it really hard to sleep, hard to think, hard to communicate. A lot of the feelings I’ve been having about anxiety, about being honest, the guilt for not speaking up earlier or taking action. True disgust at the director who assaulted me when I was 16 years old and anger that I felt at the agents and the producers who made me feel that silence was a condition of my employment,” Witherspoon told the audience, according to Elle magazine. Witherspoon did not name the director, and said that she had gone through “multiple experiences of harassment and sexual assault” throughout her career. The Oscar-winning actress told attendees that she’s been feeling a mixture of anxiety and guilt since a pair of investigations broke that detailed dozens of harassment and assault allegations against Weinstein. The #MeToo posts only scratch the surface of how widespread the issue is. But she ended on a hopeful note, expressing optimism that the women coming forward were ultimately paving a better path for those coming up behind them. “For the young women sitting in this room, life is going to be different for you because we have you, we have your back,” she said.